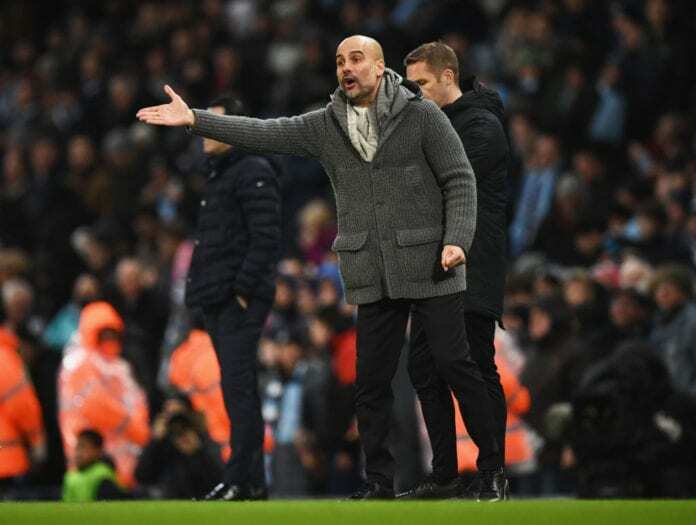 Pep Guardiola is trying to get under the skin of League Leaders Liverpool by claiming Manchester City had already lost the Premier League title after losing to Newcastle United. Even though Guardiola’s side responded emphatically with a 3-1 win over Arsenal on Sunday afternoon, he still believes the title race is over. Even though the win ensured the gap was reduced to just two points, the former Bayern Munich gaffer claims he is only focused on getting the best out of his side. “So after the Newcastle game, we already lose the Premier League,” Guardiola told talkSPORT’s Dom McGuinness after the game. “Everybody says seven points, but today we are at two – that’s why it was big. “After the Newcastle game, everybody was convinced – myself too – that Liverpool were going to win against Leicester to move to seven points and it would be almost over. “Now we are only two points so that’s why we have to be calm. “We can’t look too much at the table or how the distance is. It’s what we have to do. “What we have done in the Newcastle game or what we have done today. That is what we want to try to do every single game. Liverpool can regain the five-point lead at the top of the Premier League table by beating West Ham United on Monday night. Man City will be back in action on Wednesday night at Everton, before facing Chelsea on Sunday afternoon. PEP 💬 I prefer to be in the position of Liverpool. The pressure is when you are behind and you lose points, it’s tougher. The important thing is to be ourself. At Newcastle we didn’t recognise our team. The players knew that. Today we came back.